8 Week Embodied Mindfulness Workshop - Bedfordshire - Grow. Are you already practicing mindfulness regularly? Ready to move to the next stage in your mindfulness practice, or perhaps need to develop a fresh approach? This course takes things to the next level, with an eight week advanced mindfulness programme designed to offer you some new ideas, drawing from the latest research and neuropsychological findings. The course predominantly focuses on two areas: the importance of a fully embodied mindfulness practice and the role of our energy body (bioelectromagnetism) in increasing mental, physical, emotional and spiritual wellbeing. 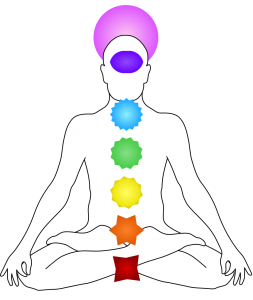 Each week, we will focus on a different part of the body (using the ancient Indian chakra system), exploring its importance to our overall wellbeing, and how it can be used as an anchor for our mindfulness practice. Whether our gut, heart or throat, each area is associated with a specific area of wellbeing, and can become blocked through emotional repression, leading to muscle tension. Through mindful attention to each of these areas, and a number of basic exercises, they can be opened, leading to an increase in the life energy that runs through us. Each week, the course will draw upon the latest neuropsychological research as well as ancient Yoga, Tantra and Xi Gong practices, allowing you to learn through experience. There will be videos, practical assignments and space set aside to discuss your practice.